The Japanese government is once again issuing public statements in an attempt to convince a highly skeptical public of the necessity of restarting the country’s nuclear reactors, at least in part, with Prime Minister Shinzo Abe’s government taking two approaches this week. The first came from Abe himself, who while speaking on the sidelines of the U.N. General Assembly in New York on Monday, said Japan’s reactors would not be brought back online “unless safety is restored 100 percent,” according to Reuters. While he did not specify how such certainty could be attained, his government has spent considerable energy to place its own commissioners on the Nuclear Regulatory Authority’s board, in an attempt to better facilitate the restart process. 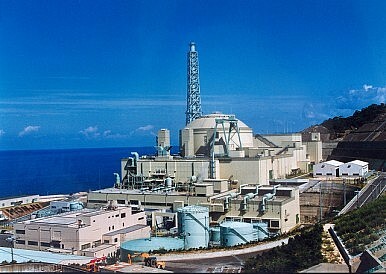 While Abe has sought to assure the public that nuclear energy will be responsibly reinstated, his Cabinet’s new Minister of Economy, Trade and Industry, Yuko Obuchi, has been tasked with convincing the Japanese people that the country cannot sustain an energy sector without a substantial nuclear component, as its energy security is now almost completely dependent on imports. She told public broadcaster NHK that “It would be very difficult to make the decision not to have nuclear power right now.” She said Japan’s fossil fuel imports have increased by 3.6 trillion yen ($33 billion), or “10 billion yen a day.” She also said that, despite substantial investment, renewable energy was not proving reliable enough to offset fossil fuels, which are increasing carbon emissions. As if to underscore her last comment, on Thursday Japan’s Kyushu Electric Power Co said it would no longer grant access for renewable energy suppliers to its grid. Kyushu Electric, now the third of Japan’s 10 major utilities to deny renewable access, says that renewables are not a reliable energy source, which means they could threaten grid stability and cause blackouts if they become a major energy component. This is despite Japan’s push to subsidize renewable energy that has mostly gone to solar, which now has 68 gigawatts of capacity, double the amount Germany has, yet Reuters reports that only 9.8 gigawatts has been connected to the country’s grids. Major utility companies are still pushing to invest in and restart their nuclear reactors. The Jiji Press reported Thursday that Tohoku Electric Power Co is planning to invest 300 billion yen to improve safety at its Onagawa and Higashidori nuclear power plants. Meanwhile, Eric Johnston at the Japan Times reported on Sunday that some Diet members and even Cabinet officials are still urging the government to further study and invest in underground nuclear reactors. Johnston concedes that the idea appears ludicrous at face value, as well as highly unlikely to gain support from the majority of Japanese people still deeply distrustful of nuclear energy. However, he notes that several institutions including the Organization for Economic Cooperation and Development, the U.S. Energy Department, and even Bill Gates support the use of small, underground reactors that produce fractional amounts of electricity at a much lower cost.